Overview: Having already established a reputation as the premier developer of exciting, high-definition online gaming software, the latest offering from BETONSOFT promises to be an instant hit with curious newcomers as well as regular slots players. 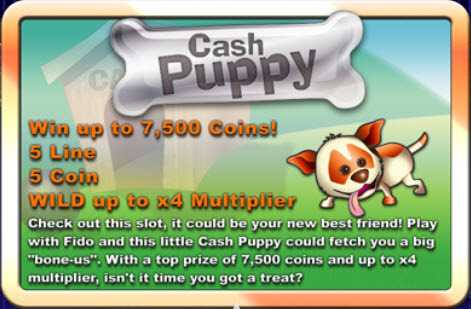 The newly released Cash Puppy - a 5 line, 5 coin classic slot with an impressive pedigree is sure to get tails wagging with excitement with its wild 4X multiplier feature and a tantalising treat in the form of a maximum payout of 7,500 coins. Players are able to select their preferred coin denomination, making it enjoyable for those with a modest allowance as well as those who want to up the entertainment stakes and run with the big dogs. 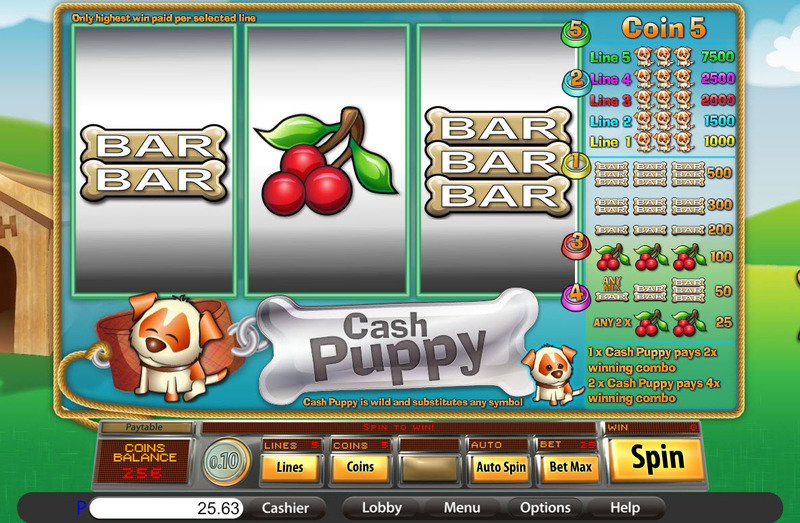 This little Cash Puppy is eager to please; unleashing great excitement with its charming graphics and generous payouts, BETONSOFT has delivered a classic slot which will prove to be a firm favorite and new best friend. Similar Slots: If you like Cash Puppy, you might like these other slot machines from Saucify: Cash Flow - Progressive, Dream Wheel - Progressive, Magnificent 7s, Minted Sevens.